Midsummer is one of the most powerful nights for magick, especially for cleansing, creativity, abundance, divination, fertility, fire, growth, healing, inspiration, love, power, success and warmth. It’s a time of gratitude and to reflect on the progress of what you have planted in this world. 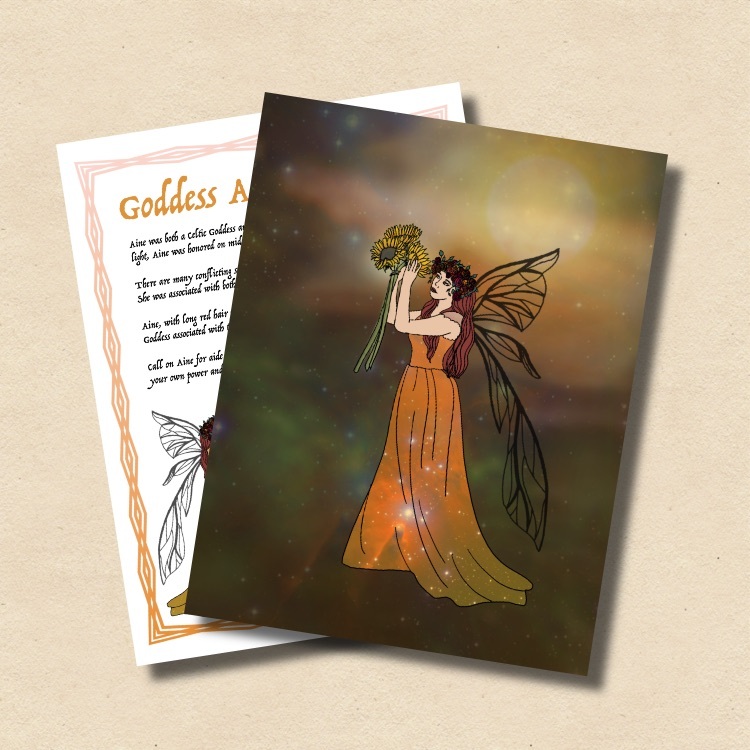 Strengthen your connection with the Goddess Aine and the Fae. Aine was both a Celtic Goddess and a Faery Queen. The Irish goddess of love and light, Aine was honored on midsummer night and nicknamed ‘bright.’ There are many conflicting stories about Aine's beginnings and heritage as a goddess. She was associated with both the sun and the moon. Her element is air. Aine, with long red hair was always seen wearing yellow, attire fitting for a Goddess associated with the sun and the moon. Call on Aine for aide in love, fertility and prosperity. Ask for Her help in claiming your own power and in guidance in finding and experiencing true joy. Don't forget to place an offering on your altar or during your magickal workings for Her. For more information on the Goddess Aine, read our Litha issue of Witchology Magazine. Faeries represent the magickal world. There are three times in the Wheel of the Year that are considered optimum for connecting with the faeries; Midsummer, May Eve (the night before Beltane), and Samhain. Summer Solstice affirmations are a great way to feel the energy of the sun. I am as strong and vibrant as the summer sun. I am filled with energy. I am light and love, and I shine my light and love out into the world where it can be seen by others. I am filled with light, moving in the direction I need to move in, following the path I am meant to walk. To represent Litha, you can use these symbols in your work; a bonfire (or candle! ), a cauldron, faerie statues, roses, the solar cross, sun signs, spinning wheels, spirals or wands. You can decorate your altar or use these in spells or rituals. Here is also a prayer I have created for the Summer Solstice. smiling down upon this earth. Accepting the summer sun into my being. the warmth and light that breathes new life. Dancing and moving on this longest day. As we begin our voyage into the lengthening night. A Book of Shadows page for honoring the sun.